More than 2.5 million miles of pipelines, including 300,000 miles of gas transmission lines, criss-cross the U.S., carrying natural gas and a host of hazardous liquids that fuel the nation’s economy. Most pipelines are located underground, unseen by operators, regulators and the public, making accurate records about a pipeline’s physical characteristics and operating conditions essential to ensuring safe pipeline operations over its decades-long life cycle. Safety implications of not having accurate records emerged as a key concern in the aftermath of the September 2010 San Bruno, CA, pipeline rupture and explosion when it became apparent that some of the operator’s information about the physical attributes of the ruptured high-pressure gas transmission line were incorrect. 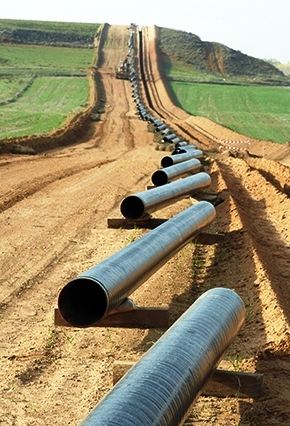 Since the San Bruno incident, the accuracy of records, particularly those used to establish a gas pipeline’s maximum allowable operating pressure (MAOP), has received unprecedented attention by operators, legislators and regulators who all, understandably, seek to ensure the public that the nation’s vast unseen pipeline network is safe. The National Transportation Safety Board (NTSB) released safety recommendations; Congress has passed legislation; and the Pipeline and Hazardous Materials Safety Administration (PHMSA) has issued guidance and proposed new reporting requirements. This is an excerpt of an article that appeared in the September 2012 issue of the Pipeline and Gas Journal. Read the full article here.